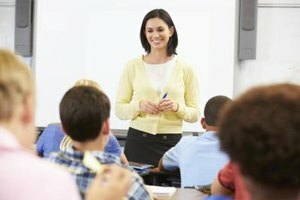 If you do not currently have a high school diploma or GED certificate, and are eligible to take the test in California (see www.cde.ca.gov/ta/tg/gd/gedeligible.asp for eligibility requirements), there is no reason not to pursue a GED. Not only does it make it more likely for you to attract employers, it also opens up the option for post-secondary education, and the pursuit of greater personal achievement. California makes it easy to find a local testing center and get the certification you'll need for your future. To be eligible, you must be either: Eighteen years of age or older or within 60 days of your 18th birthday, Within 60 days of when you would have otherwise graduated from high school had you stayed in school and remained on the course of your studies, Seventeen years of age, out of school for at least sixty days, and capable of providing a letter of request from an employer, the military or a post-secondary education institution, Or seventeen years of age and are incarcerated in a Californian state or county correctional facility. Call the center closest to you for operating times and schedule an appointment. Go to your nearest bookstore to find materials relating to GED preparations and study prior to the test, or contact the staff at the testing center for a referral to preparation programs. 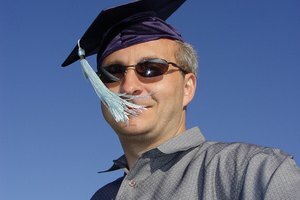 Take and pass the test to reap your GED certification. The GED test covers science, mathematics, social studies, reading comprehension and writing. There is an essay-writing section to the test. Individuals that qualify under the incarceration requirements for GED eligibility must also fit under a separate set of relating criteria. These include not realistically being able to finish high school requirements, having adequate academic skills to finish the GED battery, understanding the options and limitations available with the high school diploma, high school equivalency certification or high school proficiency certification, and having sufficient time and commitment to complete the entire GED test battery. Incarcerated test-takers who are released before the end of the exam may complete testing at an authorized testing center. Most centers charge an additional fee if all or part of the test is retaken. Chen, James. 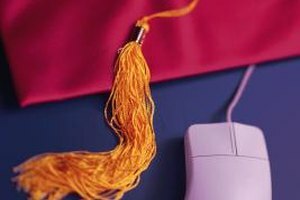 "How to Get a GED Online in California." Synonym, https://classroom.synonym.com/ged-online-california-5089757.html. Accessed 21 April 2019.